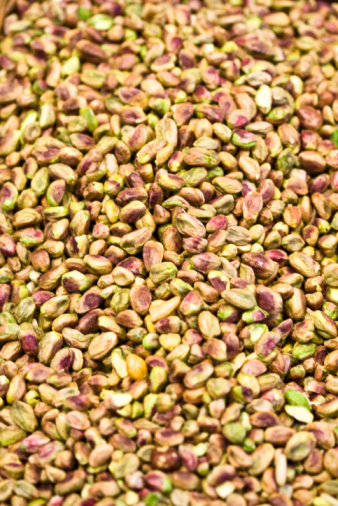 Bean seeds are dicots, which means that each of the seeds is split into two sections and attached by a small thin area. 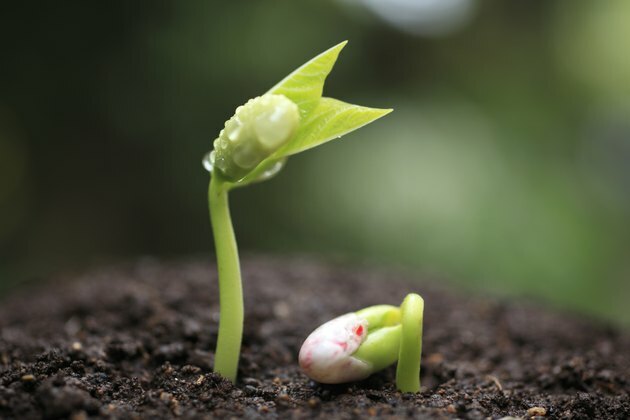 During germination, the bean seed has four distinct stages of development. 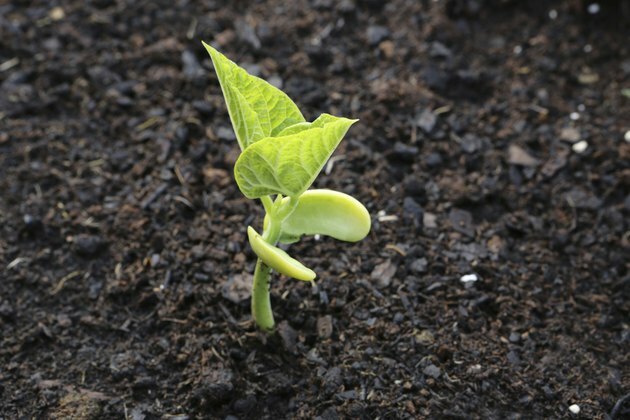 If the seed is planted in soil, not all of the stages are visible since some occur underground. However, if seeds are started in water, or in a wet paper towel, all four stages of germination are easy to observe. Bean sprouts have several stages of development. The main root is called the radical. Watch for a small sprout that emerges from the bottom of the bean seed. This is the main root of the bean and is called the radicle. This stage is only visible if the seed is germinated above ground. The main sprout emerges from the top of the plant in the second stage of growth. 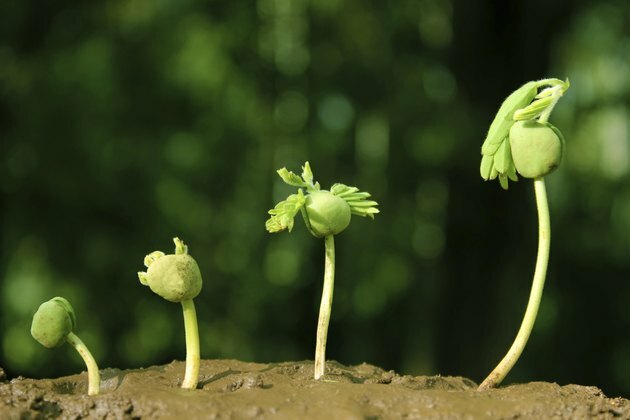 Wait until the second stage of growth when the main sprout emerges from the top of the plant. This sprout is called the hypocotyl and is the first sign of growth for plants planted in the soil. The hypocotyl emerges as a looped green stem that bends toward the ground. It may appear as if the bean seed is located at the top of the sprout but these are actually called the cotyledons. The cotyledons will break apart and turn toward the sun to reveal the first two plant leaves. 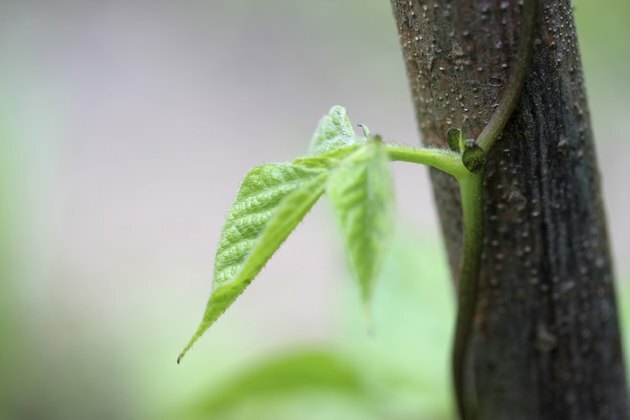 Watch as the bean seed goes through the third stage of growth where the stem straightens up. The two cotyledons break apart and turn toward the sun to reveal the first two plant leaves. Additional leaves will appear on the bean plant in the fourth stage of germination. 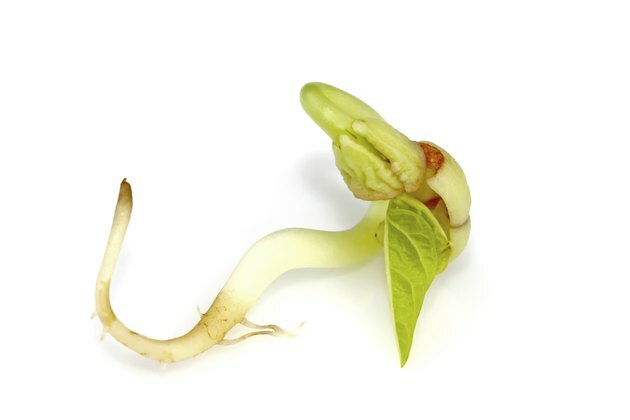 Examine the sprouted seed to watch for the fourth stage of germination, which occurs when the the two cotyledons fall off and additional leaves appear on the bean plant.